Here's another cool use of brands using vending machines to generate buzz. 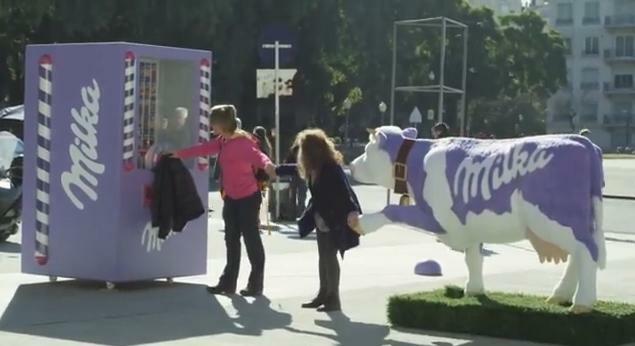 Milka, a swiss-based chocolatier, placed their custom vending machine in a high-traffic area of Argentina. In order to get the chocolate, strangers were encouraged to hold hands - connecting them from the Milka cow to the machine. Seems like a pretty sweet (ha!) deal.